Most people could never imagine being expelled from a country that they hand lived for decades in, and one would never wish this on anyone. Yet Ugandan Indians had been settled in the country for close to a century. They were uprooted almost overnight, their homes, businesses and much of their wealth confiscated. 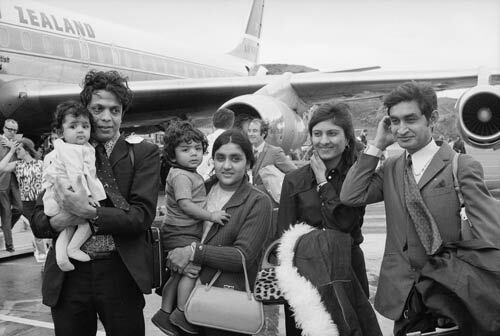 After Idi Amin’s 90-day period, only about a hundred Indians were left in the country. Most fled to Britain or India. The Ugandan Indians, 65% of whom were Hindu, had been settled in the country since the 1920s, and for many of them Uganda was the only home they knew. They were “bloodsuckers,” said Idi Amin, “who had milked the Ugandan economy of its wealth.” This alluded to the fact that the Indians living in Uganda were a prosperous community, who were well represented in trade, commerce and government jobs. 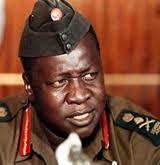 Idi Amin’s extreme views on Ugandan Indians were very much shared by most Ugandans at that time. An Indian student at Makerere University in 1972 recalls that every night in the undergraduate common room, when the countdown for Indians to get out was updated at the end of the evening news, cheers went up from the Black students. The black students asserted that the native Ugandans needed more of a chance to do their own thing. That such a “chance” would most certainly materialise out of thin air once the exploitative Indians had been booted out, is merely proof of their own short-sightedness. 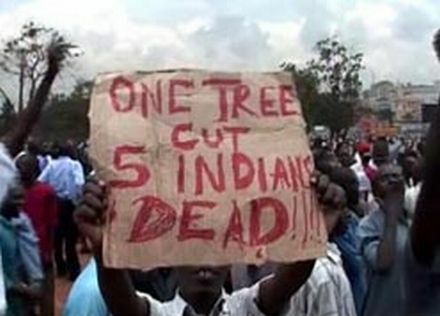 Indians had been made into a scapegoat for Ugandan national frustration at the slow progress the country was making. In fact, the Indian exodus made things worse rather than better for the average Ugandan. For a year or two, the economy was OK, but thereafter it went down tremendously. The collapse of the Ugandan economy was due to the fact that there were very few people who had the skills or experience to do the jobs that Indians were doing. This was compounded by the fact that many educated Blacks also left Uganda around this time, out of fear of Idi Amin’s violent regime. Thus Uganda lost the people with the skills to make things move. Idi Amin held onto power for seven years, during which hundreds of thousands of native Ugandans died in political strife. His successor, Obote, led a similar reign of terror. It was only when President Musevani gained power in 1986 and ended years of civil war that any sense of normalcy returned. Idi Amin was exiled from Uganda. Being a devout Muslim, he was granted asylum in Saudi Arabia, where he lived until his death in 2003. President Musevani’s 1992 offer for the Ugandan Indians to return was met with scepticism. But Indians were pleasantly surprised by the congenial treatment meted out to them. Government records had not been destroyed. Just by locating the title deeds and confirming the original owner’s identity, confiscated properties and businesses were handed back. Five thousand properties, including several Hindu temples, were been reclaimed. The time allotted to reclaim the properties expired in 1994 and the unclaimed balance (20%) was auctioned off. The vast majority of expelled Ugandan Indians did not return to Uganda. They had rebuilt their lives in other parts of the world and did not wish to return to live in a still not entirely stable Uganda. Thank you for presenting a good article like this one. Please follow up with another also telling the world about two things: a. compensation to Asians and the return of Asian property in the years that followed the fall of Idi Amin.